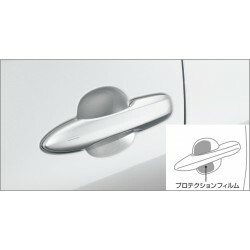 Transparent film to paste on the recessed part of the door handle. It does not damage the beauty of the body color, and prevents damage to the body by the claws etc. when gripping the handle. Two front and rear each.